The disruptions in global oil supplies are at their highest level since 2011. 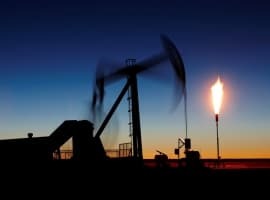 That comes from an updated assessment from the EIA, which shows total disruptions in oil production at more than 3.6 million barrels per day in May (mb/d), the highest monthly total since the EIA began tracking the data in January 2011. The outages hit major oil supplies across the world. At its worst, Canada saw more than 1 million barrels per day knocked offline because of the wildfires near Fort McMurray. That production is starting to come back online, however, and was always thought to be a temporary disruption. But other supply outages could be more sustained. Although precise data is hard to come by, Nigeria might currently have more than 1 mb/d offline because of attacks from the Niger Delta Avengers on key platforms, pipelines, and oil wells. The Avengers have threatened to take oil production in Nigeria down to “zero” in an effort to have their demands for sovereignty met. Nigeria’s oil production has plunged from 2.2 mb/d in 2015 down to somewhere around 1 mb/d today. The EIA pegged the country’s production at about 1.4 mb/d in May, but that is probably too high for June given that several more attacks have been carried out since then. The troubling thing for Nigeria is that these outages are likely to persist for some time. The Niger Delta Avengers have rejected talks with the government and continue to carry out attacks. The oil companies operating in the region – Shell, Eni, Chevron – will find it difficult to even conduct repairs on damaged infrastructure. The Avengers have promised to keep up their attacks, so it is entirely possible that the disruptions will continue to climb. A handful of other smaller outages have hit some fellow OPEC producers. 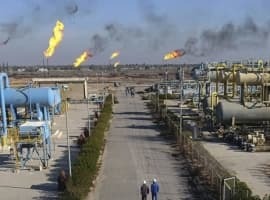 Iraq suffered bad weather and power outages in May, which disrupted an additional 50,000 barrels per day of oil exports. Libya also saw 50,000 barrels per day knocked offline in May because of struggle for the control of the al-Hariga oil export terminal. That disruption has eased since then, but Libya is still producing only a fraction of its pre-war 1.6 mb/d capacity. Related: Is Colorado Ground Zero For The Next Shale Gas Boom? Meanwhile, some more routine market-based supply adjustments are taking place in many parts of the world – declines that have been expected because of low prices and not because of unexpected outages related to weather or violence. The U.S. continues to lose output as depleting shale wells overwhelm the dearth of new supply. At 8.7 mb/d, the U.S. is down about 900,000 barrels per day from the April 2015 peak. Venezuela has lost roughly 100,000 barrels per day from last year’s levels because of inadequate maintenance. Mexico has lost a similar amount since the first quarter as its aging fields see output slowly erode. 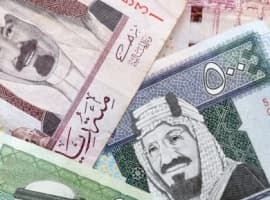 Iraq could also see production decline later this year and next because the government does not have enough funds to pay oil companies to drill. All of these outages essentially have forced the oil market back into balance sooner than many had expected. The IEA projected last month that the supply overhang only stood at 1.3 mb/d and would decline to 0.2 mb/d in the third and fourth quarter. But the unexpected outages have more or less erased that surplus. On the other hand, oil storage levels are still massively built up and will have to be drawn down before oil prices can rally substantially higher. With the U.S. still holding more than 530 million barrels, still near 80-year highs, any price rally could be capped until those numbers come down. But that is starting to happen – the EIA just reported that the U.S. posted its third consecutive week of withdrawals. Prices seem disconnected and refuse to leap to the $100 bbl levels that pundits have been predicting forever. In spite of the "outages!" The problem is not on the supply side, for those sad sacks who weep for $100 bbl prices to come again. According to peak oilers, Saudi Arabia was running out of oil in 2005 with a collapse in production "any day now". The problem is not on the supply side.